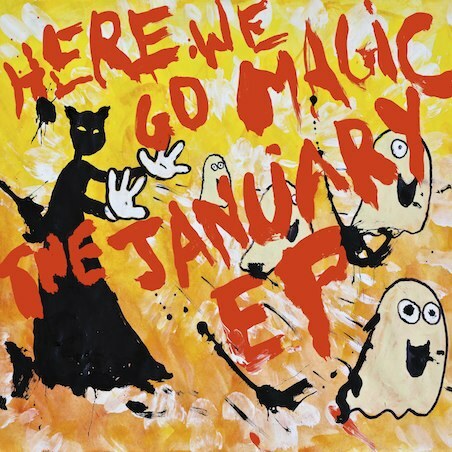 Brooklyn Indie kaleidoscope Here We Go Magic are keeping with one-release-per-year schedule as they ready for The January EP. Following in the wake 2009’s self-titled debut and 2010’s Pigeons, the 6-track effort was recorded with producer Jen Turner in an upstate New York farm house. Secretly Canadian will reveal the end result on May 10th, but an early preview in the form of the track “Hands in the Sky” is streaming below. In support of the release,H ere We Go Magic have mapped out a healthy tour schedule, which includes an appearance at Coachella and a just announced month long road trip in May. The band will also make an appearance at Wilco’s Solid Sound Festival, set to run June 24-26 in Northampton, MA.